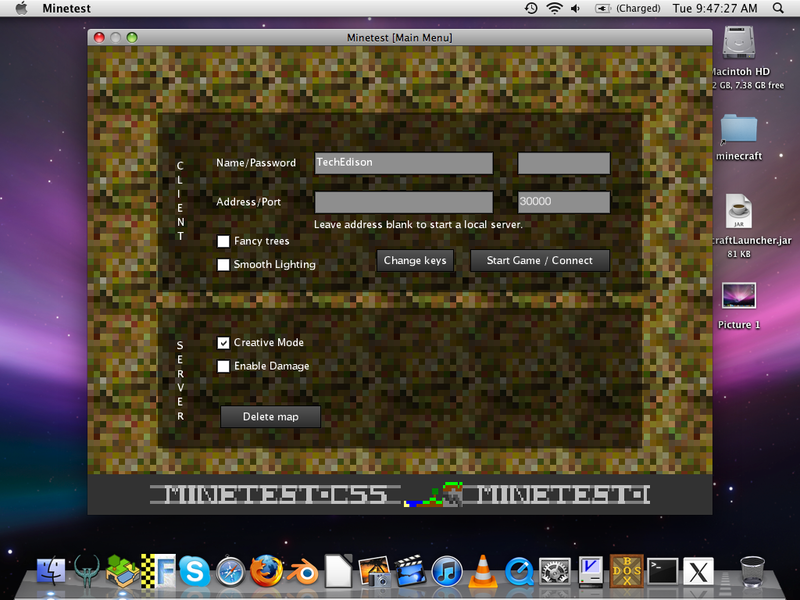 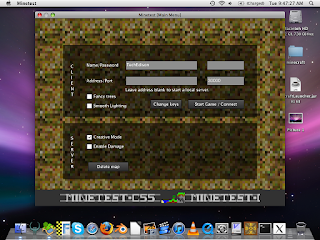 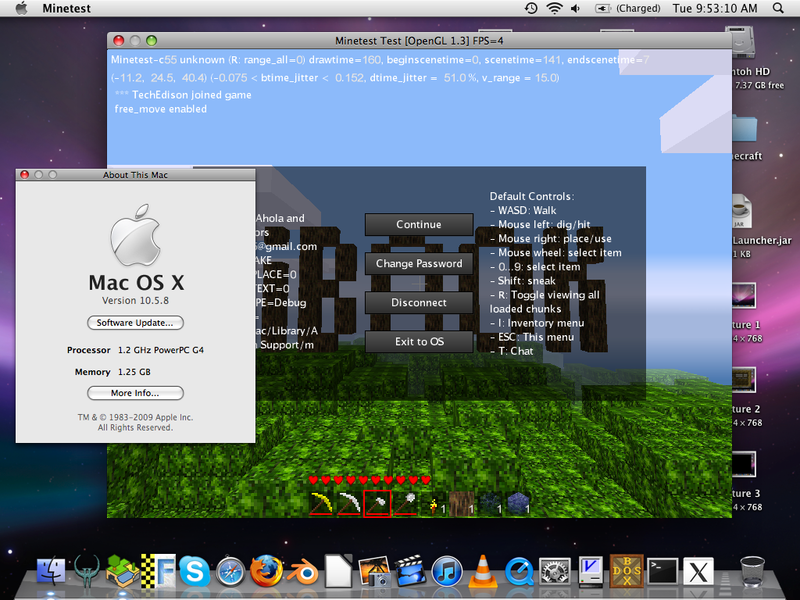 I have successfully compiled and tested minetest for powerpc in a previous post but with messed up graphics. 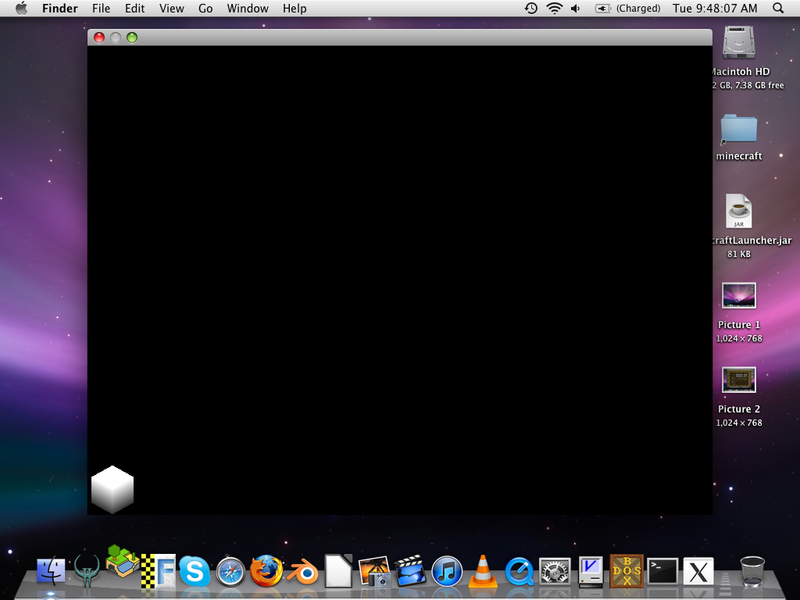 I have come to conclude that it is in fact the open GL problem. This build (and any others) require open GL 1.2+. 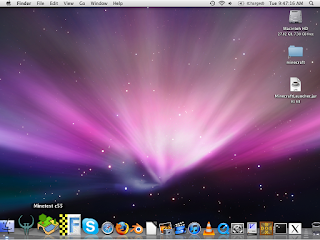 If anyone can find a way to get open GL on an iBook G3 with mac 10.4.11 please let me know. 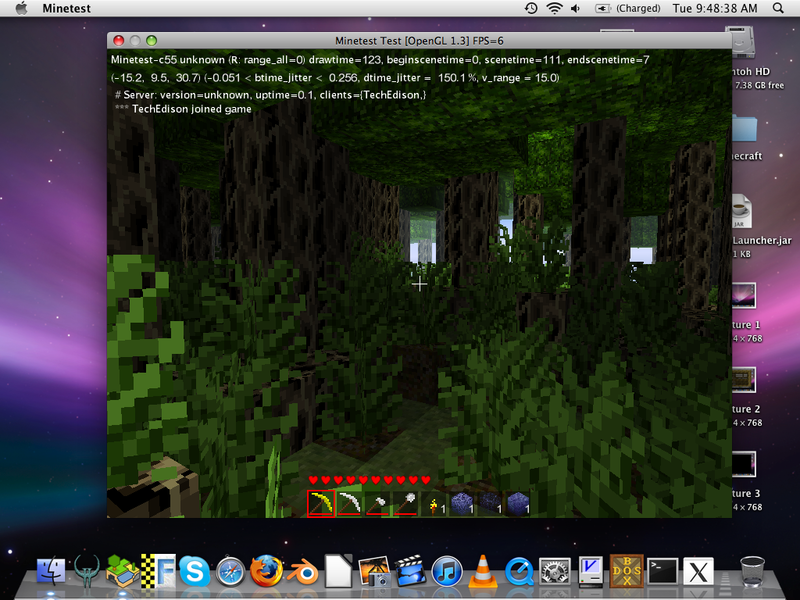 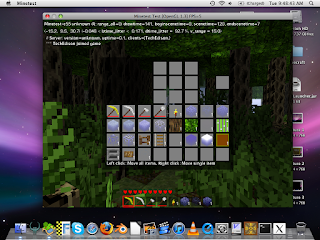 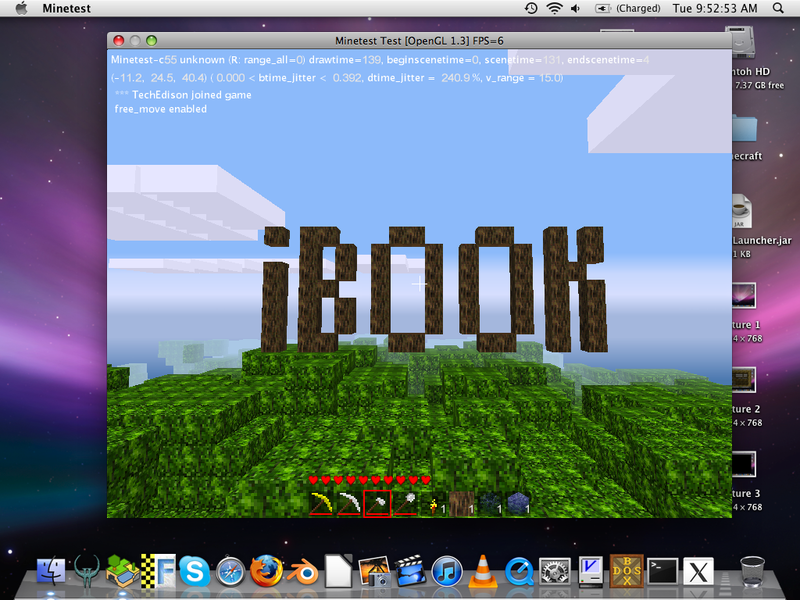 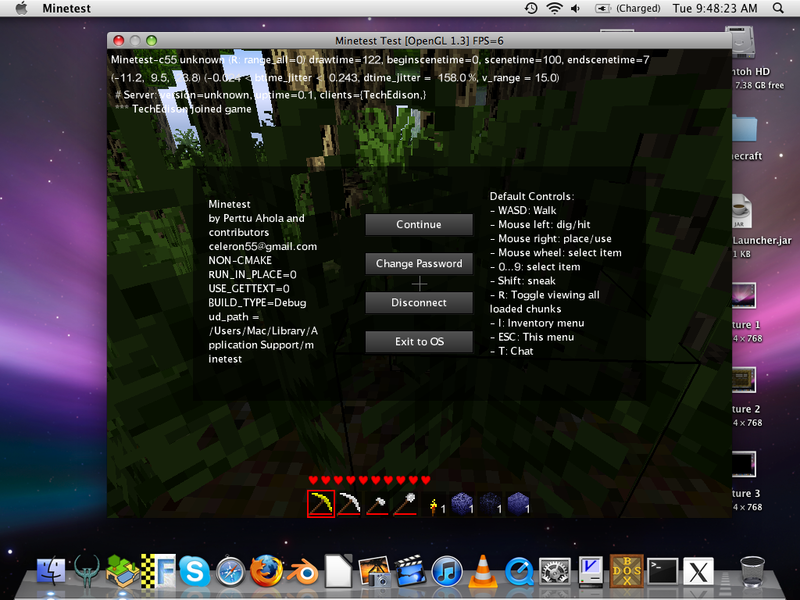 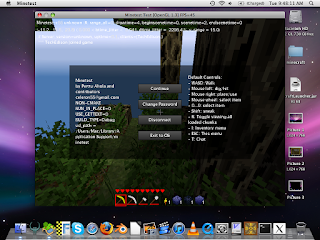 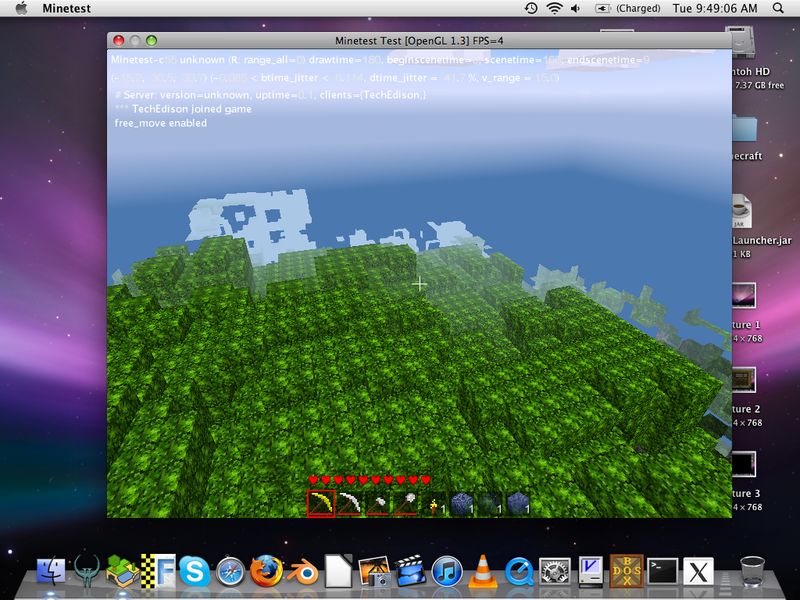 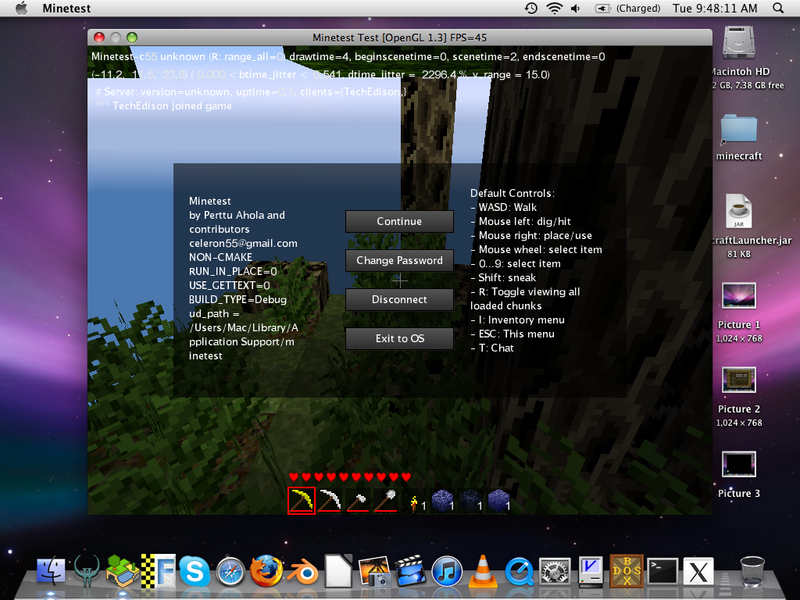 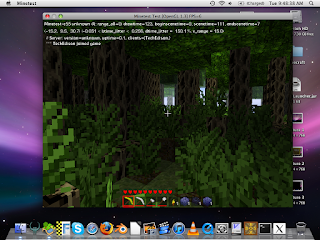 For now, open GL 1.3 is installed on the iBook G4 with 10.5.8 and runs minetest flawlessly! 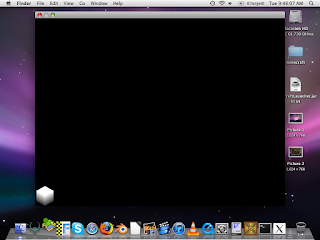 Tutorial still soon to come.